Just over a week ago, President Trump delivered the State of the Union speech. The president gave a speech with a decidedly optimistic tone. This was certainly welcome with the increasingly fractured and divided American political landscape. But it’s important to focus beyond the political theater and take a hard look at where the US economy really is and where it is heading. Unfortunately, the political rhetoric doesn’t always line up with economic reality. As Peter Schiff has said on numerous occasions, President Trump has taken full ownership of the current bubble economy. In doing so, he’s setting himself up as the fall-guy when things turn sour. Peter put it in pretty stark terms during an interview with Stock Pulse at the Vancouver Resouce Investment Conference. So, how exactly does the political rhetoric coming out of the Oval Office stack up against the current economic realities? Dan Kurz at DK Analytics provided a pretty good breakdown of some key issues where the positive talk doesn’t line up with what’s actually going on. 1. What used to be an ugly stock market bubble that would be pricked by higher interest rates, according to candidate Trump, is now proof that president Trump is doing a great job. Yet, the S&P 500 is currently trading nearly 25x EPS, the broader Wilshire 5000 Index has rocketed higher, and margin debt is nearly $600 billion – a record. 3. What used to be a fake unemployment rate when Trump was a candidate is now lauded as the “real deal,” even as the civilian labor force participation rate of 62.7% hovers near four-decade lows and two or three low-paying, no-benefit part-time jobs swell the employed ranks while full-time positions continue to be culled. This is insincere. 4. During the address, Trump also stated, “Under my administration, wealth is starting to return to America instead of leaving it.” Mr. President, sadly the opposite has been happening, at least so far, as evidenced by a continued rise in the US trade deficit, a substantial portion of which is due to rising oil import prices (and no, Donald Trump, we are not energy self-sufficient. We remain net importers of oil, and our gap could expand as the fracking bubble collapses). Once again, the president’s claims here are misleading at best. 5. President Trump talks a lot about regulatory reform liberating businesses to hire and invest. According to the American Action Forum outfit, regulatory relief of $560 million p.a. from Executive Order 13,771 (two struck for every new regulation or “reg”) can be expected. While praiseworthy, this is but a rounding error compared to an estimated $2 trillion-plus in annual regulatory compliance costs for US economy. While a sharp reduction in federal register pages (where federal rules and regs are published) from Obama’s “out the door” bloat looks promising, we wonder how any true or lasting reforms can be achieved until regulatory agencies are shut down and statist/leftist bureaucrats are fired, esp. given the risk that the GOP control of the fed government could prove only temporary — which Trump himself recently warned about. 6. Trump protectionism – a disconnect. On the heels of going to Davos and touting that America is again open for business thanks to tax cuts and regulatory reform, Trump was quick to slap high tariffs on solar panels, washing machines, and on select steel imports. Three issues here: first, lots of stuff just isn’t made in America anymore, so higher tariffs line government pockets and hurt consumers and producers alike — such as those installing foreign made solar panels that stand to lose customers or those using cheaper foreign steel in high value-added finished products that are exported — while they raise inflation. Second, raising tariffs on US imports will quickly result in higher tariffs on US exports. Third, we all know what can happen to the global economy if countries get into trade wars. It’s spelled Smoot Hawley, revisited and the 1930s depression. 7. Speaking of policy destructiveness; bloated federal government spending is up 3.8% year-over-year and is set to increase faster as Trump touts various new spending initiatives from (what will sadly ultimately prove to be) pork barrel, crony infrastructure projects to “offensive capacity” military spending growth de facto financed by the “rest of the world.” In the interim, tax rate reductions will pressure tax receipts. Finally, weaker economic growth will dramatically increase government spending on welfare and transfer payments. Talk about a perfect deficit-widening storm dead ahead! And this is before secular challenge known as an aging society and its impact on public sector solvency! Is any of this discussed, much less addressed, in Washington D.C.? 8. We could see a $1.5 trillion – $2 trillion plus dollar federal deficit within a few years if not sooner. And if the Fed really sells $600 billion of Treasuries a year, at what price — how high of a yield — will investors and the rest of the world be willing to soak up between $1.5 trillion – $2.6 trillion worth of US Treasuries possibly coming on to the market annually for a time? 9. The above is of particular concern as the rest of the world finances a US goods and services deficit that averages about $500 billion a year and expanded to $600 billion in 2017. Meanwhile, America is a net debtor nation to the tune of $8.4 trillion. 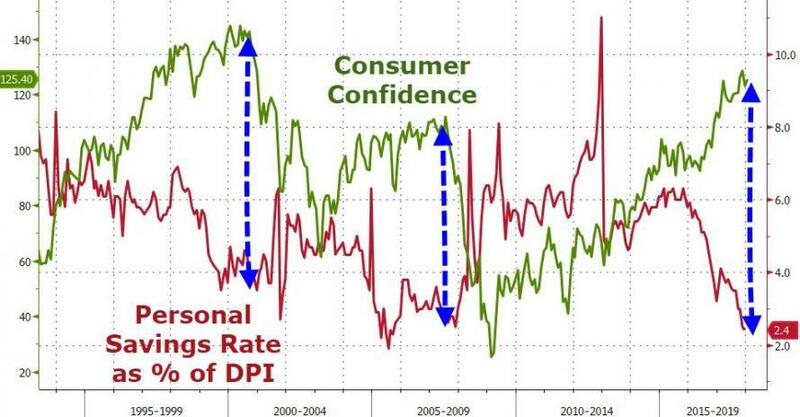 In such a world, when you openly state that the US government would welcome a weaker dollar in a period of low interest rates, great external financing dependency, a weakening currency, and rising inflation, you are driving away potential investors and thus de facto raising the cost of borrowing, especially if sentiment shifts or confidences wanes. And, by the way, if currency debasement helped to reduce trade deficits, America, having the tailwind of a dollar that has fallen about 80% since Bretton Woods dollar-gold standard was terminated nearly 47 years ago, should have huge annual trade surpluses by now in place of gaping deficits. 10. You cannot simultaneously grow a spendthrift federal government, cut taxes, and then be sanguine. You can’t grow spending by $300 billion-plus, reduce tax revenues by an estimated $280 billion, and add it to a $666 billion deficit and over $21 trillion in debt and expect good things. 11. In short, Trump is NOT leveling with the American people in terms of what really needs to be done for the benefit of future generations who will otherwise be hobbled by mountains of debt and the related financing costs, namely: focus on cutting government spending, achieving a balanced budget, aggressively pursuing litigation reform (US liability costs are 2.6 times the EU average), securing long-lasting regulatory relief, and pursuing the solid money that Andrew Jackson pursued when he killed the second US central bank. Noteworthy, the portrait of Andrew Jackson, who Trump greatly admires, adorns the oval office. 12. America is some $68 trillion in debt when combining federal, state, corporate, and individual/family level debt. US GDP is nearly $20trn. Each one percentage point higher borrowing costs from abnormally low interest rates increases America’s cost of funding by roughly $680 billion p.a. (most debt, including the US government’s, is not long-term in nature, thus susceptible to higher refinancing costs if interest rates keep rising). In fact, if the average cost of borrowing rose by just two percentage points — say 10-year Treasuries yielded 4.8% — the US’s financing cost would quickly soar by $1.36 trillion or by 7% of GDP. 13. As we have stated and written, markets are reversion beyond the mean machines. And given the mountains of debt we have accumulated, both solvency and inflation risks (in terms of printing even much more money) suggest that we could easily have a 10-year Treasury that someday yields 7.8% or 8.8% — recall that we exceeded 15% during Volcker’s “tough love” in the early 80s with a fraction of the debt. Five percentage points higher funding costs than today would raise America’s aggregate borrowing cost by roughly $3.4 trillion p.a. from current levels, or by 17% of current GDP. A non-starter. Our point: given the huge indebtedness, relatively feeble manufacturing capacity, and income and debt constrained consumers, higher interest rates could easily choke off and even reverse the positive impact of lower tax rates because they are financed by yet more debt instead of through government spending cuts. 14. Sadly, too many of Trump’s policies will ultimately rely on the very printing press that has gotten us deeper and deeper into debt, into yield starvation, into huge misallocations, into cratering productivity growth, and into accelerating solvency risks and inflation risks. Inflation is the largest stealthy property thief for the average person, and especially for retired folks, who are dependent on a fixed income stream and bond investment returns. 15. Year-over-year wage growth is 2.4% overall and but 2.2% in supposedly robust manufacturing while inflation is picking up, the housing bubble has eclipsed the 2006 highs, and mortgage rates are rising briskly — in short, housing is increasingly unaffordable for most Americans. In a related sense, we wonder how a 65-year low in the unemployment rate and low wage growth rates are possible at the same time? 16. The personal savings rate has plummeted to 2.4% from 5.9% two years ago as record auto loans ($1.1 trillion) and student loans ($1.5 trillion plus) suggest tapped out consumers. It also implies substantial demand has been borrowed from the future, i.e., that it won’t be there this year or next. If the “consumption function” is over 70% of GDP, this isn’t an academic issue.